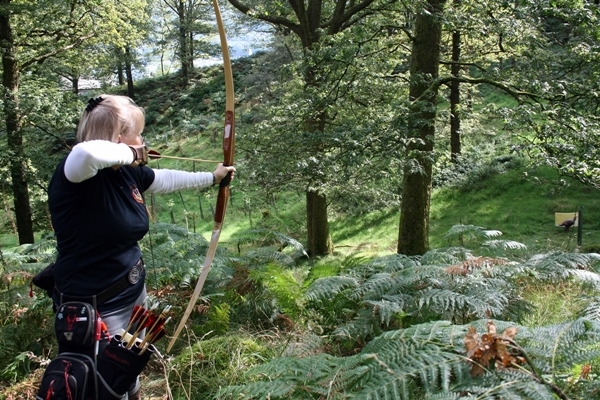 Field Archery is archery set in woodland; this provides a wide variety of terrain and shooting conditions. 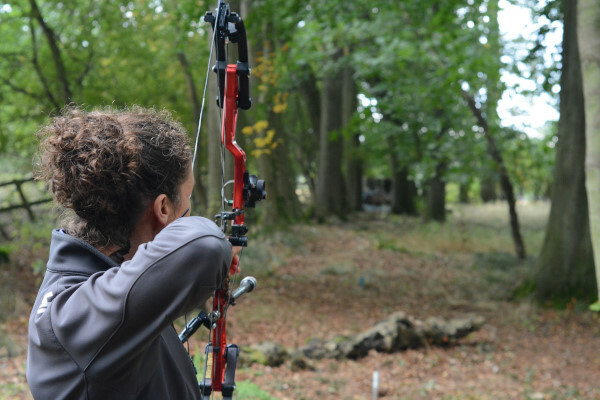 The Society believes that the archer is competing against himself, the field, the peculiarities of the terrain, the organiser’s design and layout of the ground with the natural objects and obstacles that have been included. Small groups of archers walk from one target to the next until the course is complete. 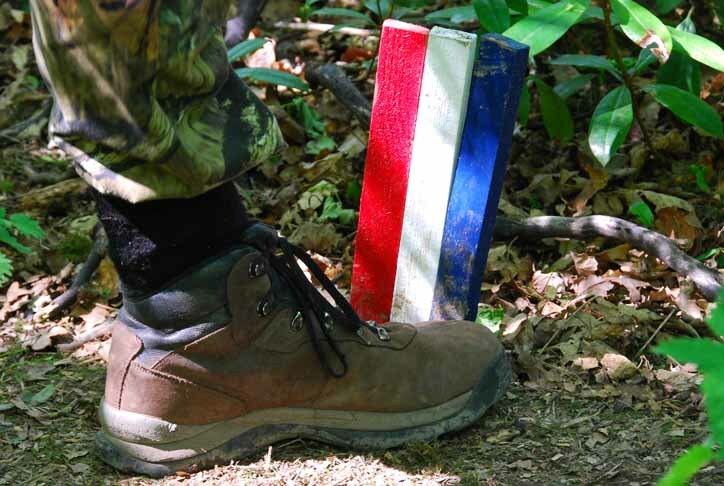 Targets are placed at varying distances and all NFAS shoots are over unmarked (unmeasured/unknown) distances. 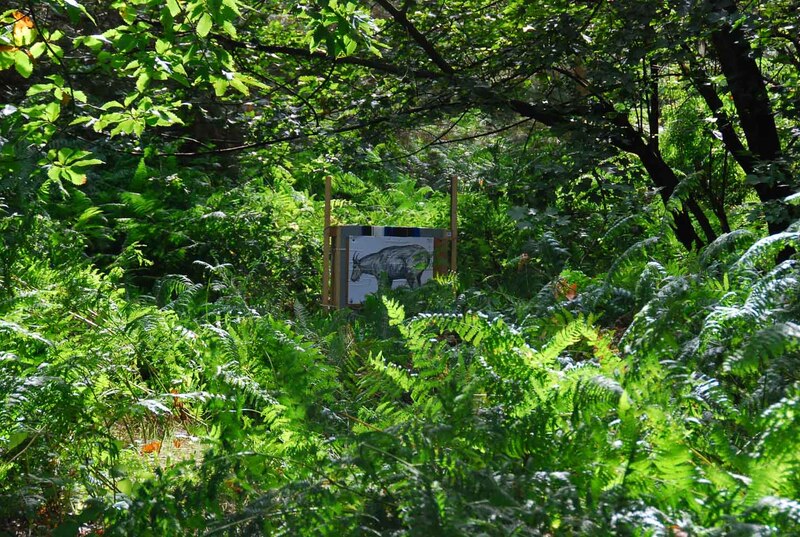 The targets are predominantly paper animal faces or 3D foam animals which have three scoring areas: an inner kill (1st arrow only), a kill zone and a wound. The NFAS offers a huge variety of equipment and styles. 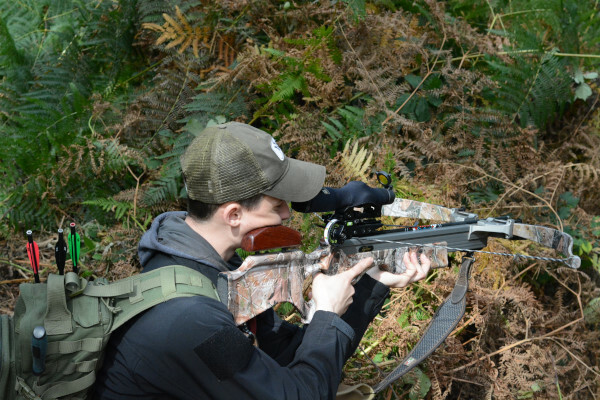 There are currently eleven shooting styles within the society: Primitive, Longbow, American Flatbow, Hunting Tackle, Barebow, Traditional Bowhunter, Freestyle, Bowhunter, Compound Limited, Unlimited and Crossbow. 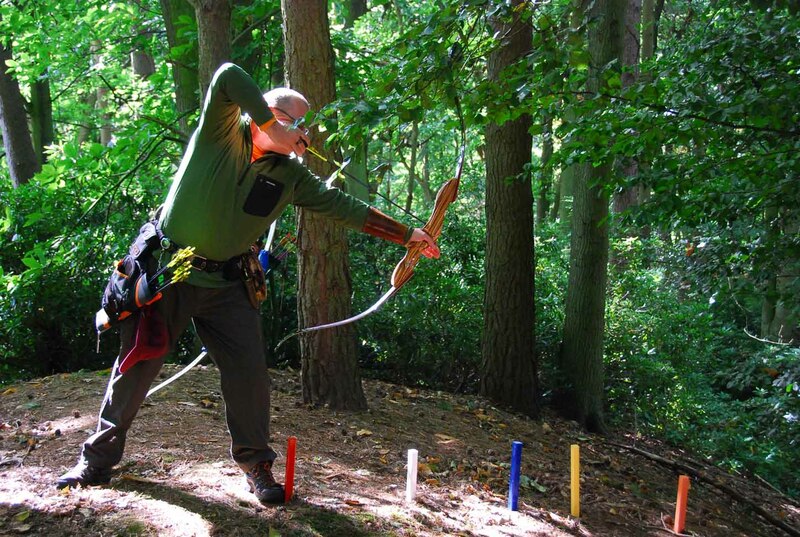 The equipment used varies widely between the styles... different bow types (flatbows, longbows, recurves, compounds and crossbows), different arrow types (wood, metal, carbon), non-sighted and sighted styles. 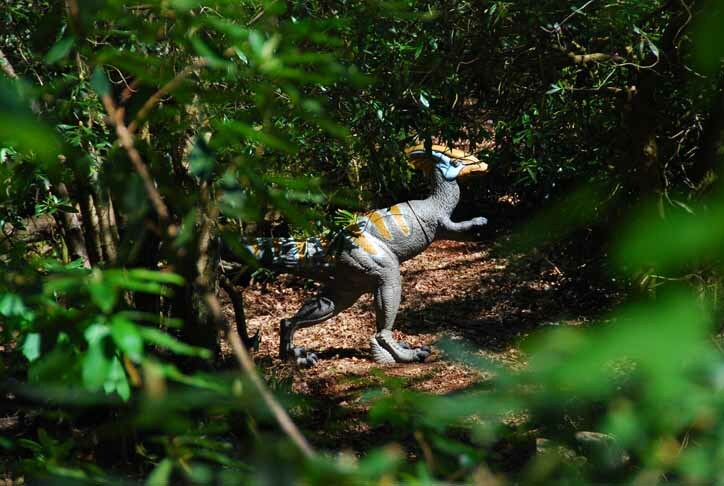 Each style is split into six classes: Gents, Ladies, Junior (under 16) Boys & Girls and Cub (under 12) Boys & Girls. Most courses comprise 36 or 40 targets, and 4 to 5 archers per group. 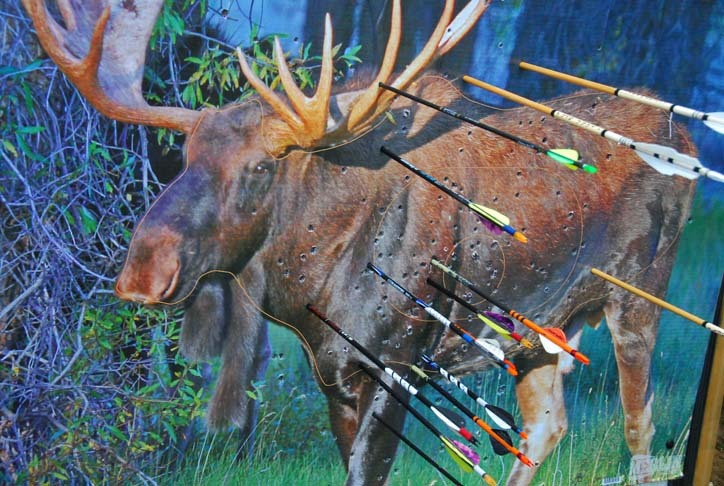 Although there are different types of rounds, a lot of competitions use the "Big Game" round, where the archer has up to three arrows per target but stops shooting after the first scoring arrow. Shots are taken from coloured pegs, and tend to be in a walk up format, so the archer gets closer to the target with each subsequent shot. 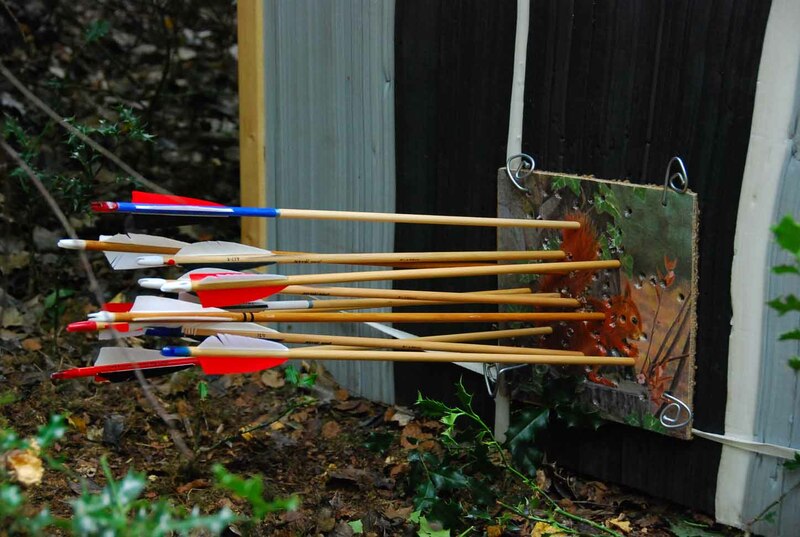 There are five different coloured pegs for each target, the colour and order of the pegs is dependent on the age of the archer.